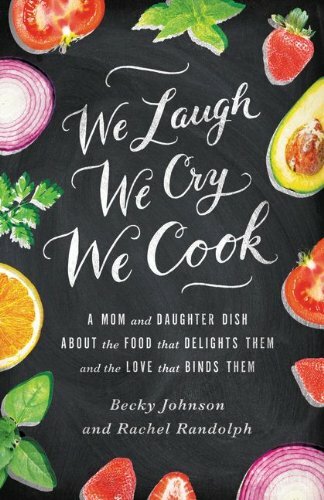 By the amount of Greek yogurt occupying grocer’s refrigerator shelves these days, I’m not the only one in love with its rich, creamy, tart texture and taste. I don’t even buy sour cream anymore and honestly can’t tell the difference. The 2% Fage brand is my favorite; so smooth with just the right amount of fat so that no one misses the cream. It’s a dessert you can feel good about enjoying and sharing because the chocolate adds antioxidants, the yogurt is a great source of calcium and protein, and cherries are in the top 20 foods with the highest amount of antioxidants. Also, cherries are one of the few foods that have melatonin in them, for a restful night’s sleep. Finally, by starting with unsweetened yogurt, you can control the sweetness to your own taste. 2 T. cherry preserves I love Bonne Maman French preserves, now available in most grocery stores. They do not have any corn syrup and are full of fruit! 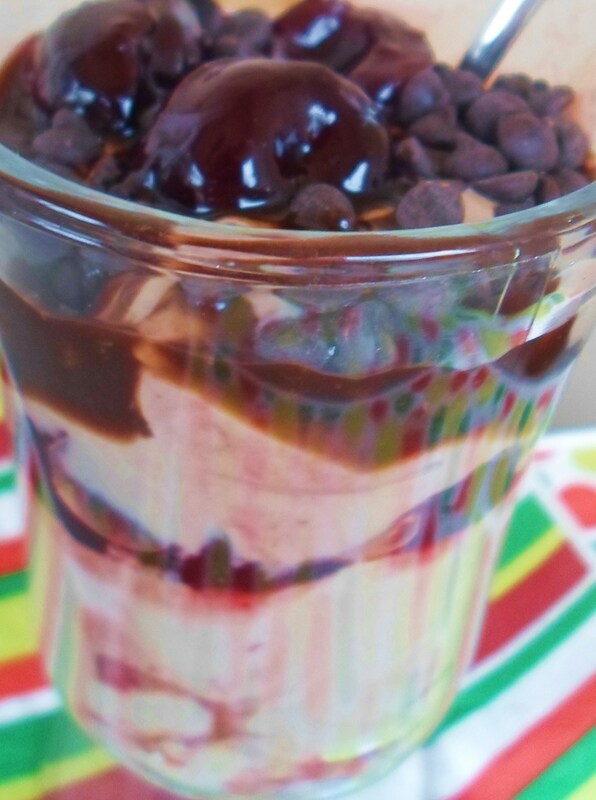 In one bowl mix yogurt with chocolate syrup. Add agave nectar if you like until it is as sweet as you prefer. In another small bowl mix the cherries and preserves. 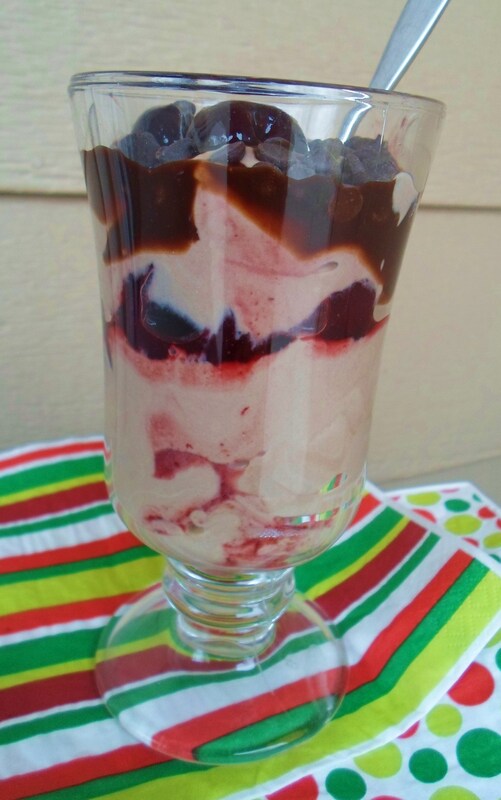 In a tall clear mug or parfait glass, put about 1/3 cup of chocolate yogurt mixture, then put a layer of the cherry mixture on next, about 1/4 cup. (Reserve about a Tablespoon to decorate top). 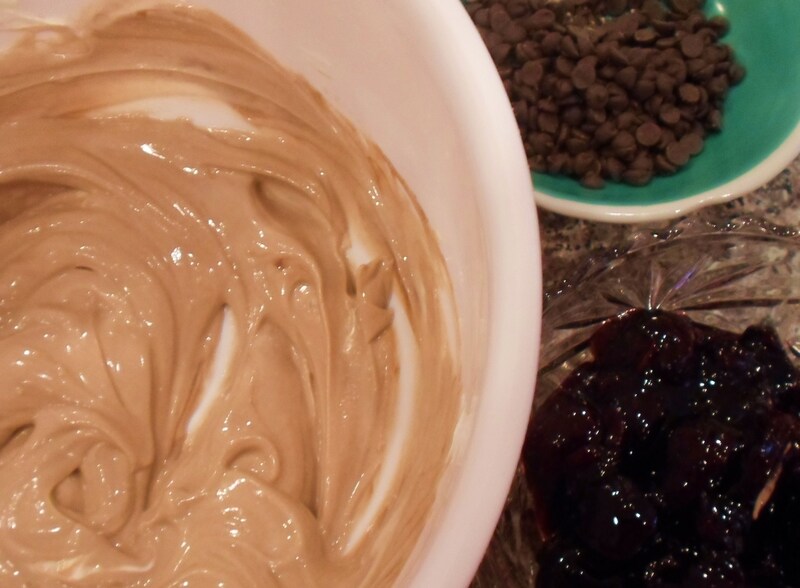 Follow this with another layer of chocolate yogurt (about 1/3 cup) and a nice squiggle of chocolate syrup. Top with 1 T. mini chocolate chips and a dollop of cherry mixture for decoration on top. Repeat in another mug or parfait glass.